Efrain Rodriguez Sierra presents his research poster. The study team poses with Efra’s poster. From left to right: Beatriz Yepes, Efrain Rodriguez Sierra, Morgan Gianola, Sofia Mercer. Many lab members attended the poster session. From left to right: Jenna Perry, Beatriz Yepes, Efrain Rodriguez Sierra, Sofia Mercer, Madeleine Snider. 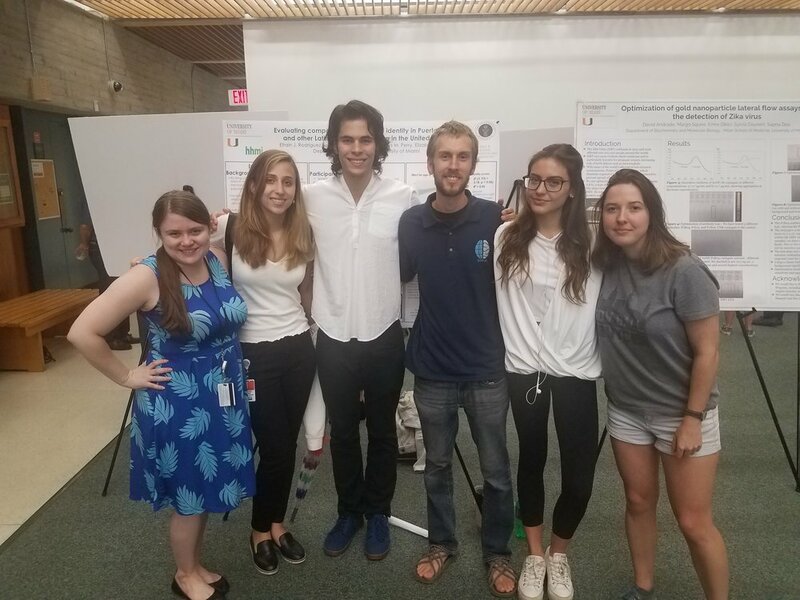 Throughout the summer, Efra was mentored by two senior lab members. From left to right: Morgan Gianola, Efrain Rodriguez Sierra, Jenna Perry.